Along with the recent addition of new MTP and MPO trunk cable products for sale from FiberStore. Our company manufactures and distributes a wide range of MTP/MPO products including single mode or multimode MPO and MTP fiber patch cable. Multi fiber ferrule connections used in high-density backplane and Printed Circuit Board (PCB) applications in data and telecommunications systems. High density MTP/MPO trunk cables with up to 288 fibers in a single cable. The MPO fiber cable connector offers up to 12 times the density of standard connectors, providing significant space and cost savings. The MTP/MPO patch cables and fanouts are designed to support high-speed, short-reach, data center applications. MPO trunk cable connectors utilize precision molded MT ferrules, with metal guide pins and precise housing dimensions to ensure fiber alignment when mating. 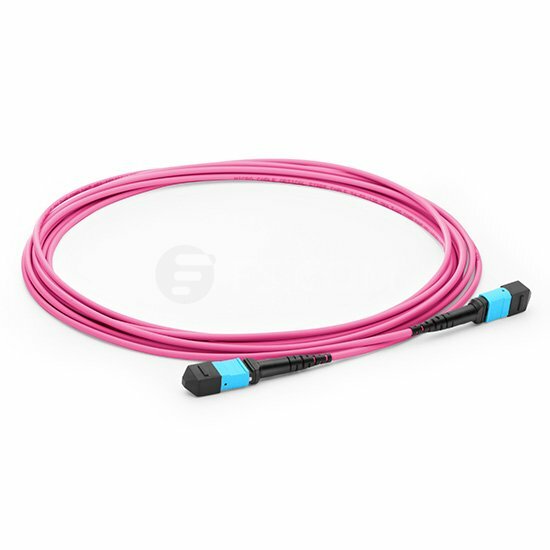 Fiberstore MPO/MPT trunk cables using a compact and rugged microcable structure, according to different colors divided into SM, MM and 10G MM (such as OM4 MPO cable). The fiber ranges from 12 to 144, MTP polarity options are TIA way is Style A(up), Style B(down) and Style C(up/up). The MPO/MTP Trunk cable is designs for Data Center Applications. It is divided into round cable and flat cable with the outer diameter of 3.0 mm or 4.5 mm. The connector where this cable is terminated on is the so called MPO/MTP connector. 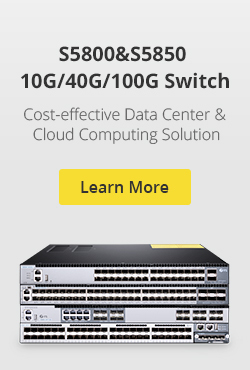 10Gb, 40Gb and 100Gb configurations are also available. MPO cables can fan-out to other connections such as SC or LC to interconnect with standard-density products or services, generally using 12 or 24 fibre cassettes. The MPO system uses ribbon-fibre cables and typically has 6 or 12 cores housed in one high-density MPO connector. MPO cables can fan-out to other connections such as SC or LC to interconnect with standard-density products or services, generally using 12 or 24 fibre cassettes. MTP/MPO Trunk Cable Assemblies are designed for high density application which offers excellent benefits in terms on-site installation time and space saving. These plug and play solutions uses micro core cable to maximize bend radius and minimize cable weight and size. MPO/MTP Trunk Cable are factory pre-terminated, tested and packed along with the test reports. Available in 12 core configuration, these space saving assemblies comes with either MTP Male or MTP Female Connectors on both the other end. They are available in lengths of 5, 10, 20, 50, 100 meters, custom lengths are available on request. MPO/MTP Trunk Cables are available in Single mode, Multimode OM1, OM2, OM3 or OM4 with LSZH or PVC Jackets. For more MTP and MPO trunk cable products,or want to know kinds of fiber optic cable specifications, pls click fiber optic shop.The cable length can up to 999 ft, and breakout length from 12-99 inches. Actually, it belongs to a custom product, please kindly email your requirements to us! This entry was posted in MPO/MTP solutions and tagged fiber optic cable specifications, fiber optic shop, MPO trunk cable, om4 mpo cable, OM4 multimode fiber on October 10, 2013 by Amelia.Liu. Fiber optic cable has turned into a standard component in many contemporary cable infrastructures. Its immunity to electromagnetic interference (EMI) and radio frequency interference (RFI) turn it into a desirable cable medium. Its function to safeguard the fibers during its stallation and also the service lifetime. Its capability to transport signals for significant distances has also earned it a place in many networks, whether they are local, wide area or metropolitan. In reality, fiber optic cable is currently run down many residential streets and brought straight to the home. This website will try to inform us how to choose the right fiber optic cable plus some basic fiber optic cable specifications. Whenever you used fiber optic cable? Fiber optic cables can transport more data and do this on the greater distance than typical copper communication cables. Fiber is utilized to link the networks of buildings together, link the dorms and buildings on a college campus, and today, link a growing number of residential customers to their television and telephone providers. In most a commercial building, however, fiber can be used to join the main distribution frame (MDF), where typically network servers reside, to telecommunication closets (TC) through the building. For instance, a little cluster of cubicles as well as their occupants may be located 500 feet in the MDF. You would like to supply of their computers around the network. Since standard copper communication cables are restricted to 295 feet of installed cable, they won’t work on that distance. Multimode fiber is the solution. The cubicles can be wired with copper communication cables to some nearby enclosure. By placing the network switches and including a media converter in that enclosure, you may use a fiber optic cable to bridge the 500-foot gap. A media converter in the opposite end from the fiber optic cable completes the channel. The above scenario describes a normal use for multimode duplex fiber optic cable inside a building. However, it’s just one of these of the way fiber optic cable can be employed for your transport of data. Fiber optic cable can also be installed where space is an issue since one small fiber optic cable can replace a huge selection of copper communication cables. Pick the 50 micron or 62.5 micron? Although 62.5 micron fiber was the most popular just a few years back, 50 micron quickly gained business and is also still achieve this. 50 micron fiber may have approximately 20 times the bandwidth (data throughput capacity) of 62.5 micron. For identification purposes, multimode fiber, as well as singlemode fiber, is frequently known by its performance level identified by ISO/IEC (International Organization of Standards and International Electrotechnical Committee), which is depending on the fibers bandwidth capabilities. 62.5 micron multimode is referred to as OM1. 50 micron fiber is known as OM2, OM3 and the recently added OM4. When you would imagine, OM4 has greater bandwidth than OM3 and OM3 has greater bandwidth than OM2. 50 micron OM3 fiber is designed to accommodate 10 Gigabit Ethernet as much as 300 meters, and OM4 can hold it to 550 meters. Therefore, many users are now choosing OM3 and OM4 on the other glass types. In fact, nearly 80% of fifty micron fiber sold is OM3 or OM4. 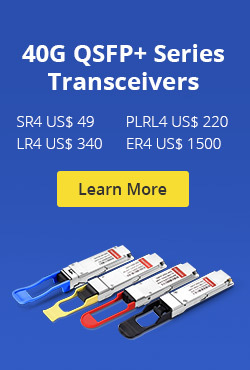 Many fibre optic cable suppliers provide many kinds of OM4 multimode fiber,such as om4 mpo cable for sale in FC,LC, SC, ST, MU, and MTP connector.We can customize patch cables in any cut length. 1. You’d better choose Armored Fiber Cable when use cable directly buried outdoor. And judge black plastic outer sheath cable with two roots and over two root. 2. Pay attention to the characters of flame retardant, poison and smoke when use cable inside building. Generally, use flame retardant and smoke type cable within the pipeline. And choose flame retardant, smokeless and non-toxic enter exposed environment. 3. Choosing distribution cables in the apartment building vertical wiring. Breakout cables are employed to Level wiring type. 4. The best option to choose multimode optical cable when the transmission distance is under 2 km. Within the other sides, use single-mode optical cable when the transmission is a lot more than 2 km. FiberStore update and upload the fiber optic cable products now,we provide many types of fiber optic cable (such as simplex fiber cable,duplex fiber cable,om3 multimode fiber,om4 multimode fiber,waterproof cable,armored fiber cable,om4 mpo cable and so on), and the cost of fiber optic cable was very cheaper than other company. We always meet or exceed industry standards of cable is used to ensure product quality and the best performance. This entry was posted in Single Mode Fiber (SMF) and tagged multimode duplex fiber optic cable, om4 mpo cable on October 7, 2013 by Amelia.Liu.